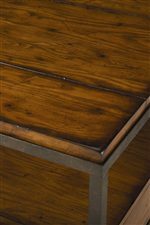 Functional and stylish this round cocktail table combines distressed woodwork with an understated metal frame to convey an visual aesthetic that is at once both rustic and modern. 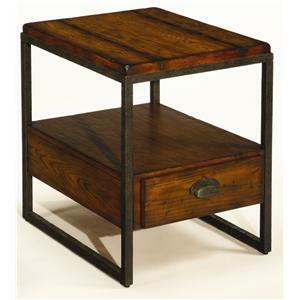 Its stoic design allows this piece to effortlessly complement furniture from a variety of styles. 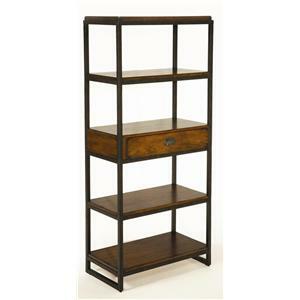 The bottom shelf is a great place to store reading materials such as coffee table books. 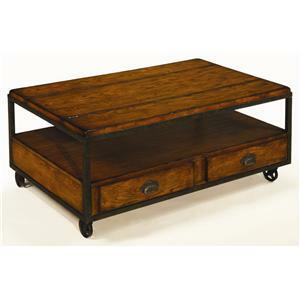 The wheels at the base make this occasional table easy to move around your room for entertaining. 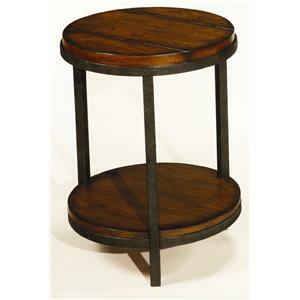 The Baja Round Cocktail Table with Shelf and Wheels by Hammary at Hudson's Furniture in the Tampa, St Petersburg, Orlando, Ormond Beach & Sarasota Florida area. Product availability may vary. Contact us for the most current availability on this product. 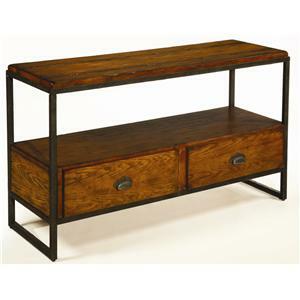 The Baja collection is a great option if you are looking for Industrial Contemporary furniture in the Tampa, St Petersburg, Orlando, Ormond Beach & Sarasota Florida area. Browse other items in the Baja collection from Hudson's Furniture in the Tampa, St Petersburg, Orlando, Ormond Beach & Sarasota Florida area.